- Magnesium is key element in Chlorophyll production & photosynthesis. - Improve utilization of Iron and Phosphorus. - Influence earliness and uniformity of maturity. - Activator & component of many plant enzymes. Magnesium Elektron specialises in the development, manufacture and supply of magnesium products and services to technology industries worldwide. We are able to offer Magsenium Ingots of 100gm, 300gm, 7.5kgs etc of variety of specifications such as 99.9%, 99.95%, 99.98% etc. 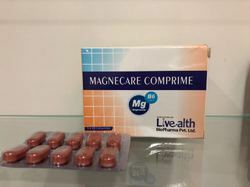 Magnesium small bars, 300 grams each. MgO Content (%): 92.0% Min. Al2O3 Content (%): 1.0% Max.